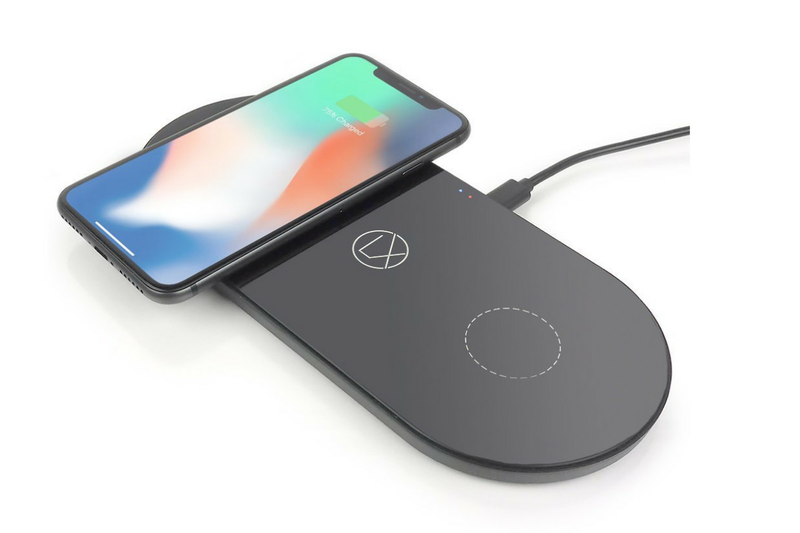 LXORY isn’t exactly a major company in the wireless charging business, but they’ve managed to become the first to release a wireless charger with an input for Apple’s Lightning cables, via 9to5Mac. Almost every other charger out there uses either MicroUSB, USB-C, or a proprietary port to pass power from a wall plug to a charging pad. But LXORY’s new pad — officially, the “LXORY Dual Wireless Charging Pad” — offers an input for Apple’s own proprietary connector. That means that you won’t have to change cables if you’re switching between wired and wireless options to charge your iPhone. But not only is the LXORY pad the first to offer Lightning, it also goes a step further by offering MicroUSB and USB-C inputs. So no matter what charging cable you have set up on your desk, you can just plug the LXORY pad right in and be on your way. The pad itself can also charge up to two Qi-enabled devices at once, and it features a USB Type-A port, too, to plug in another cable for wired charging. There are a few issues with LXORY’s pad. First off, you’ll need to provide your own wall plug, since one isn’t included in the box. Second, the LXORY pad only supports an output of 5W for each charging pad, so you won’t be able to take advantage of either Apple’s or Samsung’s wireless fast charging features, which need 7.5W and 9W output, respectively. And lastly, while LXORY supports Lightning as an input, it isn’t certified as an official Lightning product through Apple’s MFi program, which isn’t usually a great sign for the quality or usability of a product. Still, you’re getting a double charging pad that costs $28.60 and supports any input you’ve got around. If you’re okay with the slower charging speed and possible problems of lacking Apple’s blessing, it’s a pretty good deal. Hopefully, other wireless charger manufacturers are taking note and will follow suit in the future.